ROME — Fabio Quagliarella’s airborne back-heel volley against Napoli is already in the running for Serie A goal of the season. The former Italy striker athletically flicked the ball into the far corner to complete Sampdoria’s 3-0 win over visiting Napoli on Sunday. 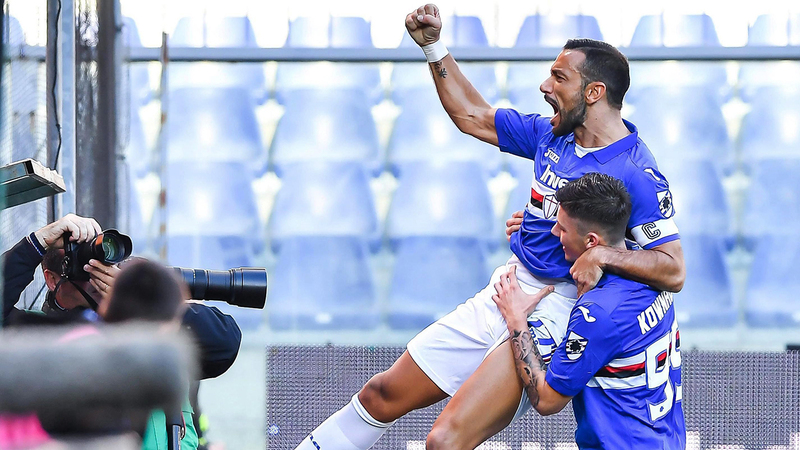 In the Genoa club’s first home match since 43 people were killed in the Morandi Bridge collapse in the port city last month, Quagliarella’s goal prompted celebrations inside the Luigi Ferraris stadium. Carlo Ancelotti’s Napoli, meanwhile, will need to figure out a better approach after falling behind early for the third consecutive match — even though it came back to win its first two. Gregoire Defrel scored twice for Sampdoria in the first half, with Quagliarella playing a part in both goals. A minute’s silence was observed before kickoff to honour the victims of the Aug. 14 bridge collapse, which occurred during a fierce storm. Napoli dropped three points behind perfect Juventus. Marco Benassi scored his third goal in two matches as Fiorentina beat Udinese 1-0 to remain perfect through two matches — with its postponed opener at Sampdoria to be made up later this month. Kevin-Prince Boateng scored the opener as Sassuolo topped Genoa 5-3; Lazio beat Frosinone 1-0 in a regional derby with a goal from Luis Alberto; and Spal dropped its first points in a 1-0 loss at Torino, where Nicolas Nkoulou scored after the break during a match that was suspended for an hour due to heavy rain.